Why Hire Us? | Denver Bankruptcy Attorney - Jon B. Clarke, P.C. Jon B. Clarke, P.C. 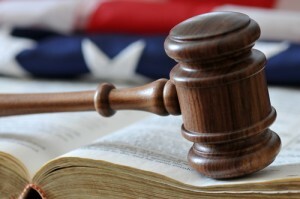 > Why Hire The Front Range’s Most Experienced Bankruptcy Attorney ? Why Hire The Front Range’s Most Experienced Bankruptcy Attorney ? When you choose to work with the attorneys at the Law Office of Jon B. Clarke, you can rest assured that your bankruptcy case will be handled by experienced legal professionals. Dedicated to meeting your needs and exceeding your expectations at every stage of your case. While many of our former clients can attest to the high quality of our legal services, as well as the beneficial outcomes that can be expected from our attention to their financial matters, our lawyers have also been recognized by industry colleagues for our consistent successes and superior ability to resolve even the toughest of cases. In fact, Mr. Clarke, the founding partner of this firm, is a nationally respected bankruptcy lawyer who has been named as a top attorney in Colorado’s SuperLawyer magazine, a rare, prestigious distinction only granted to a handful of bankruptcy lawyers. Commercial or business bankruptcy cases. If you are overwhelmed by seemingly insurmountable debt and are looking for a financial fresh start, contact the trusted Colorado debt relief and bankruptcy lawyers at the Law Office of Jon B. Clarke, P.C. For more than 35 years, Mr. Clarke and his diligent support staff have been successfully helping our clients resolve even the most complex bankruptcy cases for both individuals and businesses alike. Our experienced legal professionals are committed to providing each of our Clients with the debt relief assistance they need, and we will work tirelessly to ensure that our Clients’ cases are resolved as favorably and efficiently as possible. For a thorough assessment of your situation, along with expert advice regarding the best manner in which to move forward to unburden yourself from debt, call us at 303-779-0600 or email us some details about your situation by clicking here.